In my first blog post Part 1 how to apply the STOP tool in a moment when we get triggered and want to interrupt our usual habitual responses. 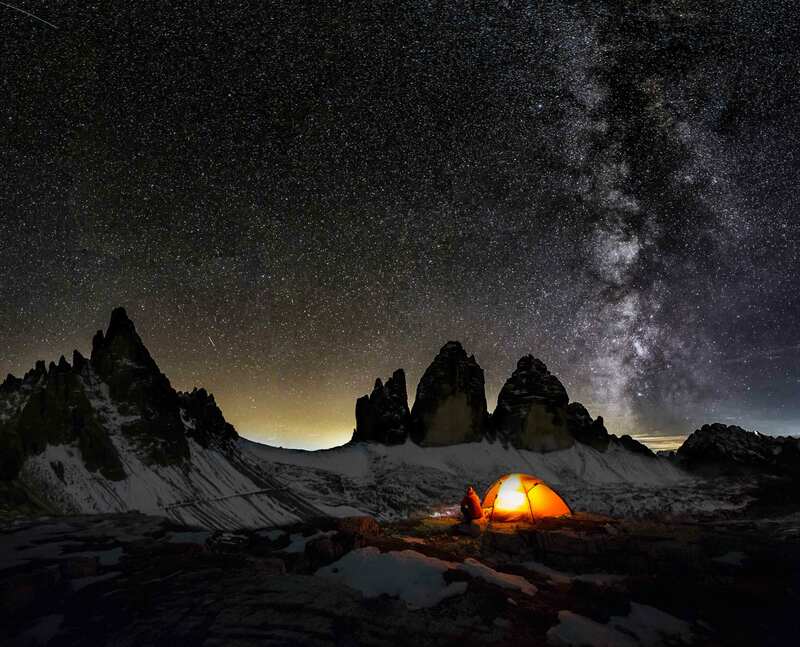 –In this blog post I want to share in more detail what you can do after you have stopped, or even while you are stopping and observing your inner states. It is what we call a Change of Perspective: sometimes it is good to look at a situation from the other person’s perspective as best as you can, especially when this situation is difficult for you; put yourself in the other parties’ shoes for a moment and then step back into your own shoes – and don’t worry about their shoe size 😊. Maybe something interesting and new comes up that makes you better understand (not necessarily accept) what is happening with the other person that you have a conflict with, why they reacted in the way they did and so on. There is no single one truth in this world, we all have our own perspectives and beliefs, individual truths. So why not change perspective for a moment and see what comes up. 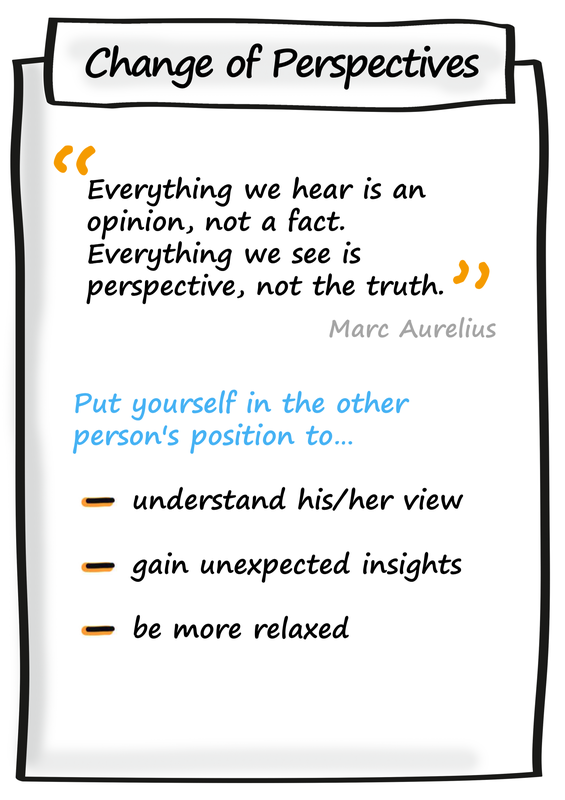 The ancient Roman philosopher Marcus Aurelius invites us to consider that what others say is their opinion, not fact. Similarly, our own eyes might deceive us, and that not all we see is what truly is, that we might fill in details that may not actually be there. Interesting, isn’t it? What we see and hear is filtered and processed by our mind – through concepts, beliefs and habits. And by understanding that simple fact about our mind, there is a way to be more accurate in our descriptions of what we perceive, here is how. In a conflict or difficult conversation, it can be very useful to switch perspectives and to look at the dispute from the perspective of the other person, from his/her view, feelings, value system as best as you can. You don’t need to agree with that perspective, just open yourself for additional context information and insight. It might be surprising and often relaxing to understand that the other person in his/her own way is trying to do their best, only that his/her strategy collides with your own strategy. Again, changing perspective and switching back is not about agreeing and accepting the other sides’ point of view; it is about adding context information that might help you to derive a more comprehensive and informed response – especially when stakes are high. Are you curious about what we can do after the Perspective Change? – please have a look at my third blog Part 3 about I-messages.